Theater Round-Up: Interviews with Anthony Boyle, Noma Dumezweni, Sam Clemmett and Jamie Parker! 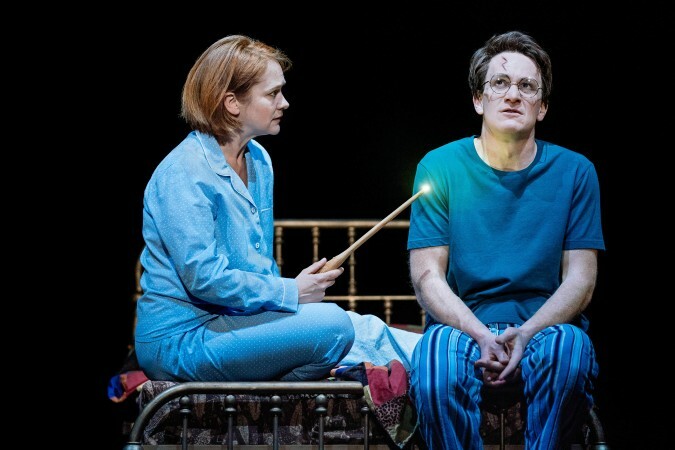 Theater news this week is heavy on the personal interviews with Harry Potter and the Cursed Child cast members but, given the still-recent transfer from London’s West End to Broadway and its 10 Tony nominations, we’re not at all surprised. In fact, the production seems indisputably charmed, and the cast themselves are equally charming. 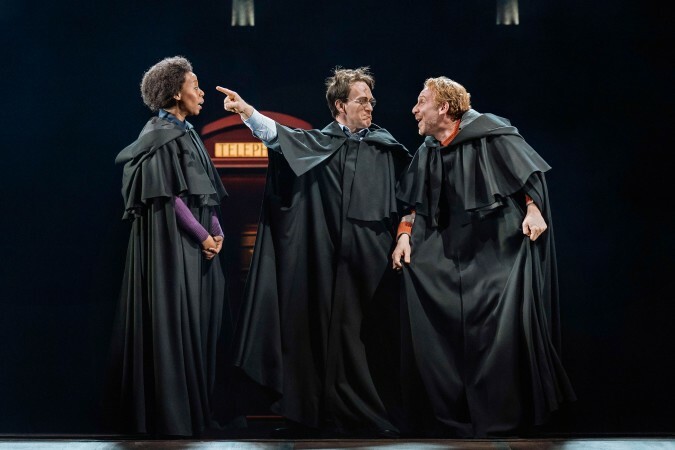 Enjoy our recaps of interviews with Anthony Boyle (Scorpius Malfoy), Noma Dumezweni (Hermione Granger-Weasley), Sam Clemmett (Albus Potter) and Jamie Parker (Harry Potter) below! 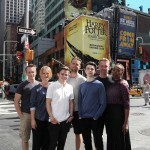 The countdown to the Tony Awards continues and Anthony Boyle, nominated as Featured Actor in a Play for his portrayal of Scorpius Malfoy in Harry Potter and the Cursed Child, is widely considered to be the breakout star of the show. He brings magic to the story that goes beyond wizarding legacy and skill and gets to the heart of what made Rowling’s original series so great–spells cast aside, it’s about young people coming through deep loss and isolation, not unscarred but, somehow, intact and kind and all the more generous for it, because of the deep friendships they formed along the way. Boyle taps into this beautifully with an intuitive understanding of who Scorpius is and how to make him relatable in that ongoing struggle. Noma Dumezweni sat down for “On Stage” with Spectrum News NY1 to discuss her casting as Hermione Granger-Weasley. As she’s noted before, she was pleasantly surprised by the color-blind choice given most fan’s understandable presuppositions about the character after Emma Watson played Hermione so well for so long. Yet producers did choose her, and Dumezweni fell in love with the role–even Watson offered her support! Watch the video interview here, which includes a behind-the-scenes tour of the transfigured Lyric Theater! Watch the full interview with Paul Wontorek below. Oh, to be a transfigured beetle on the wall during those discussions–but we’ll settle for what revelations we can get. Read the full account of Clemmett’s interview with The Last Magazine here, and tune in to BUILDSeriesNYC at 1 p.m. today for more! 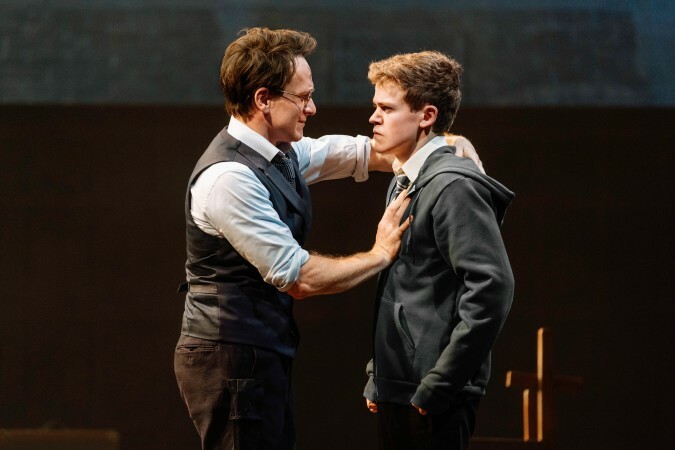 Jamie Parker also joined “On Stage” on Spectrum News NY1 to talk about bringing Harry Potter into adulthood through Jack Thorne’s Harry Potter and the Cursed Child story. 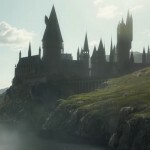 Parker also made the lovely observation about how Rowling’s stories help parents engage with their children as a medium that provides an entertaining way to reveal real truths about life–adults making mistakes, institutions being flawed and darkness in the world. And, as one enthused fan commented, everyone needs a little magic in their life! Watch the full video here, which includes details on snagging your own tickets to the Broadway production–according to Neil Patrick Harris, it is a must-see! 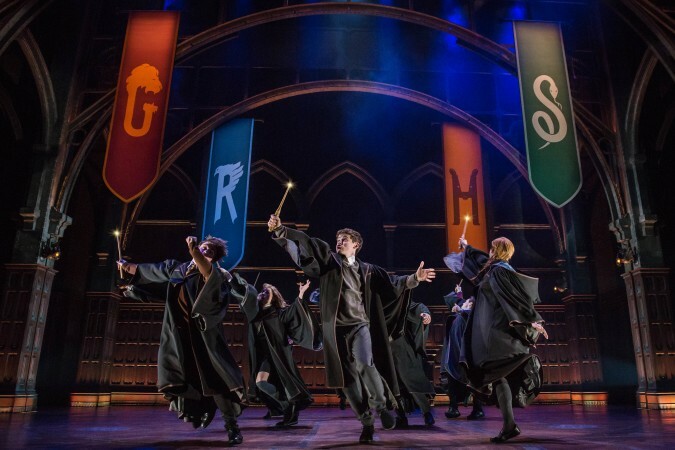 Broadway World reported that the winners of the 2018 Drama League Awards have been announced, and Harry Potter and the Cursed Child picked up the award for Outstanding Production of a Broadway or Off-Broadway Play! Cursed Child was also been voted Favorite New Play in the Broadway.com Audience Choice Awards. Congratulations to all involved! 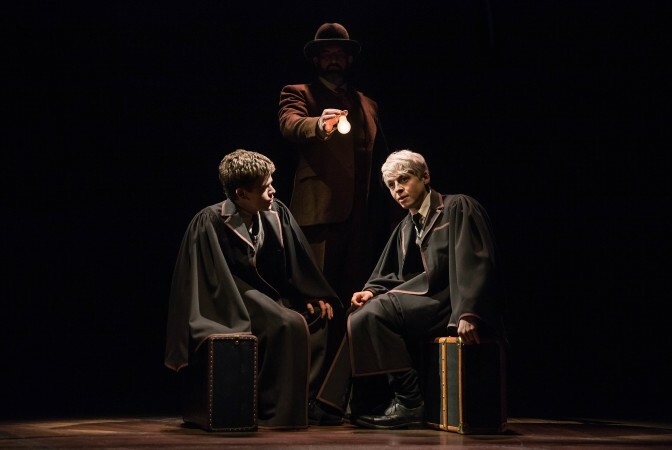 #CursedChildNYC has been voted Favourite New Play in the @broadwaycom Audience Choice Awards! Thank you to everyone who voted and congratulations to everyone involved in the production.